JFK - frequencies increased from 11 weekly to double daily nonstop flights using a B 773ER (349 seats). BEY - frequencies increased from double to triple daily nonstop flights using a B 738. KIX - frequencies increased from 4 to 5 weekly nonstop flights using an A 332. SIN/JKT - frequencies increased from 6 weekly to daily services using an A 332. ALA - frequencies increased from daily B 737-700ss to 11 weekly nonstop flights i.e. 4 weekly A 333s + daily B 738s. TSE - capacity increased from 4 weekly B 737s to 4 weekly A 333s. PIA of Pakistan has officially announced that due to huge demand for its new BCN-Barcelona, Spain bound flights, it will be increasing frequencies on this route from 2 to 3 weekly nonstop flights from Pakistan. The 3rd weekly flight will be operated as a terminator service to/from Islamabad using a B 773ER where as the remaining two are flown onwards to ORD-Chicago with full 5th freedom traffic rights using a B 772ER. AUH - new twice weekly nonstop flights to be flown using a B 763ER. DXB - all flights to be flown as turn around terminator flights and capacity to be increased from three weekly MD82s to three weekly B 763ERs. JED - frequencies increased from 3 to 4 weekly nonstop flights using a B 763ER. RUH - frequencies increased from 3 to 6 weekly nonstop flights using a B 763ER. Qatar Airways CEO has officially announced that the carrier is extremely interested in increasing its flights to Indonesia by launching new flights to the second largest city of the country i.e. Surabaya. If approved, it will be the only long haul carrier operating out of the city and its main target market is Indonesian labor workers residing in the Middle East region. 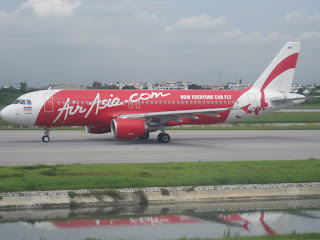 QR plans on operating to Surabaya via Kuala Lumpur 4 times per week using an A 330 from Summer 2011. As a result of this, flights to KUL shall be increased from the current 11 weekly to double daily nonstop using an A 330. Saudia Airlines has officially confirmed that it has placed a massive order with Boeing for 22 new Boeing 777-300ERs + 8 Boeing 787-800s. The 777 order breakdown is 12 firm + 10 options. SV is also in the final stages of signing an agreement into joining the SKY TEAM alliance of which Air France is its main sponsor. PVG - capacity increased from daily A 332s to daily A 333s. NRT - capacity increased from 5 weekly B 763ERs + 2 weekly A 333s to 5 weekly A 332s + 2 weekly A 333s. PEK - frequencies increased from double daily nonstop to 16 weekly nonstop using a B 763ER for all the flights. 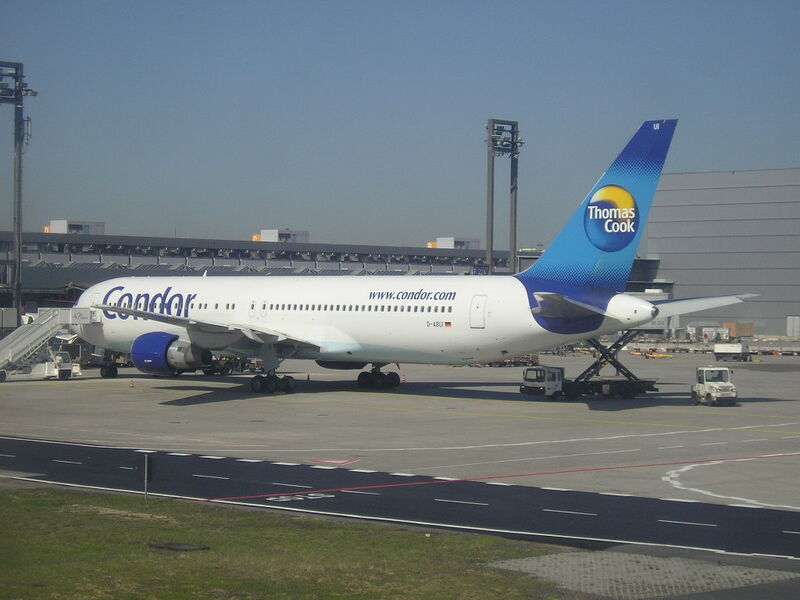 DEL - capacity increased from daily B 763ER to daily A 333. SYD - frequencies increased from 5 weekly A 343s to daily nonstop flights using an A 333. MEL - frequencies increased from 4 weekly A 343s to daily nonstop flights using an A 343. Lufthansa has officially announced that it is further increasing capacity to JNB-Jo'Burg, South Africa from Feb 12th 2011 by adding more Airbus A 380 operated flights from its primary FRA hub base. From Feb 12th onwards, all FRA-JNB operated flights will be flown on a daily basis using an A 380 instead of the current 5 weekly + 2 weekly B 744s. Skymark Airlines of Japan has officially announced that it has signed a LOI (Letter of Intent) with Airbus for an order of 6 new Airbus A 380-800s. It makes the carrier the first Japanese based airline to place an order for the A 380 which it will configure with 800 seats in an all economy class configuration to be used to Europe, USA and popular Asian cities. China Southern Airlines has officially announced that it has a placed a major order with Airbus for its regional expansion in Asia. CZ confirmed an order being placed for 6 Airbus A 330-200s + 30 Airbus A 320-200s. Norwegian Airlines has officially confirmed that it has chosen the Boeing 787-800 as its preferred aircraft for long haul expansion out of its main Oslo hub. The carrier confirmed that it will be leasing 2 B 788s from ILFC and has requested for 4 more of the same aircraft type. The first destinations to be launched shall be New York City and Bangkok. Spice Jet of India has officially announced that it has ordered 33 additional Boeing 737-800s plus another 30 Bombardier Q400 turbo prop aircraft to fuel its regional expansion strategy in India and abroad within a 5 hour flying radius of the country. The airline will get its international flying license from April 2011 and hence have ordered the B 738s for this very purpose for expansion to the Middle East, Far East and Indian Sub-Continent region. Emirates has officially revealed many changes to its route network for the Summer 2011 season with capacity expansion both in Levant and Southeast Asia regions. KUL - frequencies increased from triple daily B 773ERs to 25 weekly B 773ERs aka 20% capacity increase or 2912 extra weekly seats round trip. BKK - capacity increased with 2 daily A 380s + 2 daily B 773s versus 1 daily A 380 + 3 daily B 773s aka 2142 extra weekly seats on a round trip basis or 10% capacity increase. DAM - capacity increased from double daily A 332s to 9 weekly A 332s + 2 weekly B 773s + 3 weekly B 772s i.e. 826 extra weekly seats on a round trip basis or 12% capacity increase. AMM - capacity increased from 8 weekly A 332s + weekly A 343 + 2 weekly B 772s + 3 weekly B 773s to 2 weekly B 773s + 6 weekly B 772s + 6 weekly A 332s. - frequencies to DAM can be increased to triple daily. - new daily flights to ALP can be flown. - open skies to all other Syrian cities. 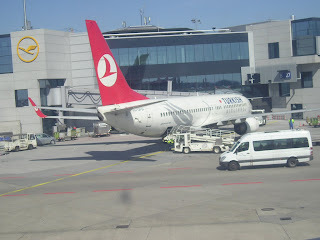 - open skies for freighter flights to all Syrian cities. Currently, QR operates double daily services to DAM with A 320s with departures at 1230pm and midnight from DOH. Sri Lankan Airlines has officially announced that it shall be increasing frequencies to Karachi, Pakistan from the on set of the IATA Winter 2010 timetable. UL will be operating an additional 4th weekly nonstop service using an Airbus A 320 due to high load factors over the past few months which has spurned this decision in KHI's favor. 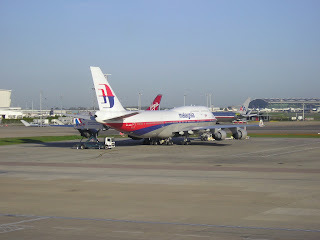 Malaysia Airlines will be launching new 3 weekly nonstop flights to RUH-Riyadh, Saudi Arabia effective Dec 17th 2010. MH will be operating a 290 seater two class configured Boeing 777-200ER for this new service. MAS also operates 4 weekly B 772ERs to JED nonstop + 2 weekly DMM flights with an A 332. Air France has officially announced that it shall be launching new flights to Phnom Penh (PNH), Cambodia from the on set of the Summer 2011 season i.e. March 28th. AF will be operating 3 weekly flights via Bangkok using an A 340-300. However, from May 9th onwards, capacity shall be increased to a B 772ER for this route. BKK will continue to be served on a daily nonstop basis using a B 772ER with 4 of out 7 weekly flights being a terminator service. American Airlines has officially confirmed that it shall be launching new nonstop flights to PVG-Shanghai from its secondary LAX-Los Angeles hub effective April 5th 2011. AA will be operating the service on a daily basis using a Boeing 777-200ER. Aeroflot has officially announced few changes to its long haul network for Summer 2011. The main highlights are as follows: HAN - frequencies increased from 3 weekly B 763ERs to 4 weekly A 333s. LCA - frequencies increased to double daily nonstop services. CLT / FCO - capacity increased from May 3rd from daily B 762ER to daily A 333. PHL / BCN - capacity increased from May 3rd from daily B 762ER to daily A 332. 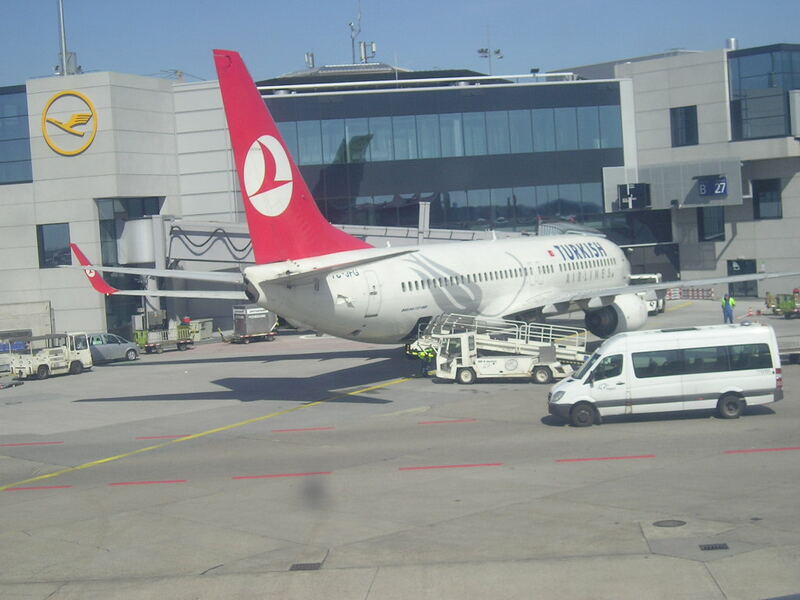 Turkish Airlines has officially confirmed that it will be significantly increasing capacity to YYZ-Toronto from Dec 27th 2010 onwards. Currently, it operates a 250 seater A 330-200 on the 3 weekly IST-YYZ service however after Christmas due to averaging a very high load factor on this sector, a larger 349 seater Boeing 777-300ER shall be used to fly this route. This translates into a 40% increase in capacity by TK on the Toronto route. Egypt Air has officially announced that it will be increasing capacity to both Bangkok and Guangzhou, China from Dec 15th 2010 onwards in a significant manner. Currently, MS operates a CAI-BKK-CAN flight using a B 772ER however the latest changes announced make both cities receive dedicated terminator services. 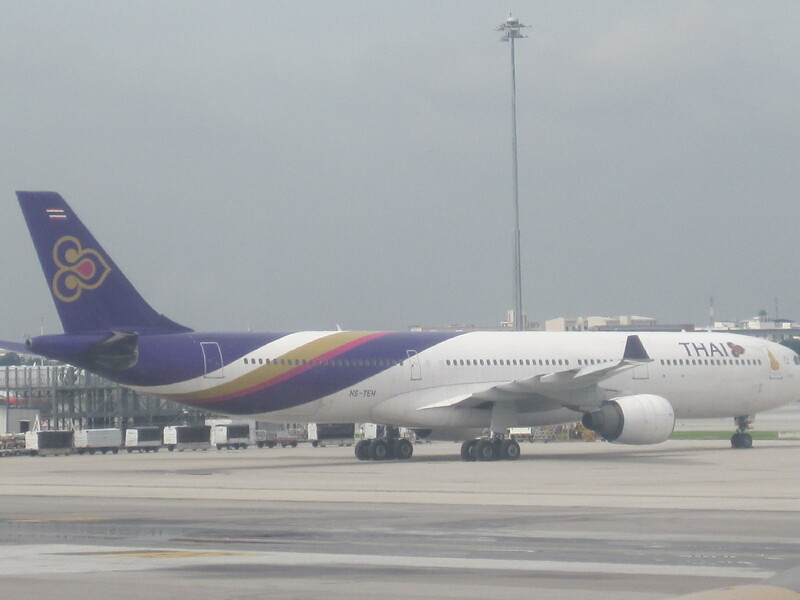 Capacity to BKK is increased to a daily nonstop terminator flight operated with a B 772ER where as CAN also receives a nonstop service from CAI with a B 772ER but 4 times per week only. CPH / PVG - new 5 weekly nonstop services to be operated using an A 343. OSL / EWR - new daily nonstop services to be flown using an A 333. Emirates has officially announced that it is seriously pondering to further place an order for 30 additional Airbus A 380s as it sees a requirement of 120 such aircraft over the next decade as part of its fleet plan. It did not originally place this order because of space constraints at the current DXB airport however this shall not be the case with the new JXB-Jebel Ali Airport which EK and other carriers hope to move to within the next 6 years. 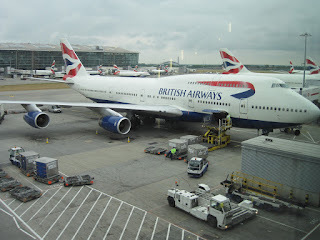 British Airways has officially confirmed that it will be reducing capacity to NRT-Tokyo, Japan from the on set of the IATA Summer 2011 timetable. 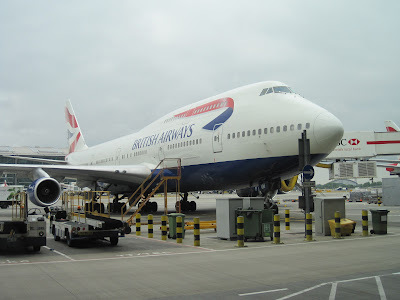 Currently, it operates a daily nonstop flight using a Boeing 747-400 on the LHR-NRT sector however from end March a smaller Boeing 777-300ER will be used to fly this sector which shall have its latest on board F and J class seat product. MAD/IAD - all flights suspended. BCN/MIA - new 3 weekly nonstop flights to be flown using an A 343. MAD/LAX - new 3 weekly nonstop flights to be flown using an A 343 which shall be increased to 4 times per week effective June 27th using the same aircraft type. Oman Air has officially confirmed that it is not going ahead with a planned increase of upgrading flights to CDG-Paris from 4 to 5 weekly A 333s from Nov 1st but instead will increase capacity to Cairo, Egypt effective Dec 18th onwards. Flights to CAI are currently flown on a daily basis using a B 737-800 which shall later on see from Dec 18th two weekly A 333s + 5 weekly B 738s aka 15% increase in capacity. Royal Brunei has officially announced that it shall be launching new nonstop flights to Melbourne, Australia effective March 29th 2011. BI will be operating 4 times per week from its BWN hub using a Boeing 777-200ER. In addition, the airline too confirmed that it will be reducing frequencies to Perth which is currently flown 4 times per week using an A 320. The new winter schedule calls for a 3 weekly nonstop service but operated with a larger B 772ER. Korean Air has officially announced that it will be increasing frequencies on its services to Singapore from Nov 22nd 2010 onwards. Services shall be increased from daily to 11 times per week nonstop using a B 773A daily + 3 weekly B 744s + weekly A 333. 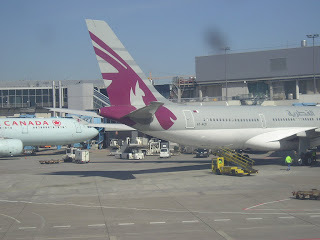 In addition, LH has announced that it will be increasing capacity to KWI-Kuwait from the on set of the Summer 2011 season. For W10, it operates a daily A 333 seating 221 seats in a 3 class configuration, however for SU 11 it shall be 4 weekly A 343s + 3 weekly A 333s. DEL / MXP - new daily nonstop flights using an A 332 to be launched from Dec 5th 2010. The flights will cater to the massive O&D demand that exists between these 2 cities which is 90,000 passengers per year + the flight schedule allows excellent connections in both directions via DEL to DAC, domestic India, CMB and BKK. DEL / CMB - new daily nonstop flights using a B 738 to be flown from Nov 5th 2010. This flight will connect to London and Milan in both directions. BOM / CMB - new daily nonstop flights using a B 738 to be flown from Nov 5th 2010. This flight will connect in both directions to BRU/USA/YYZ/LON. BOM / JNB - frequencies reduced from daily A 332s to 5 weekly nonstop flights using the same aircraft type. Indian media too has reported that options 9W holds for 5 A 332s are going to be changed to 3 A 333s + 2 A 332s. 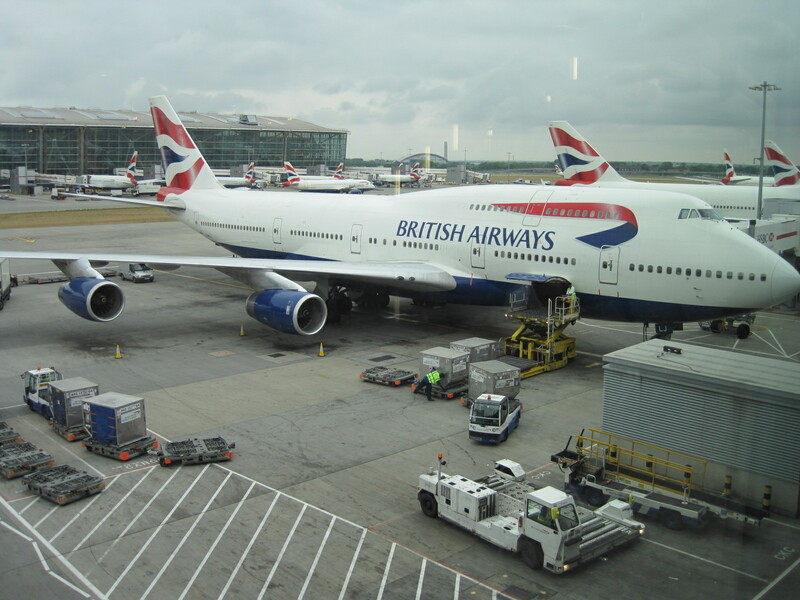 British Airways has officially announced that it will be increasing its presence on 2 key long haul markets in its network from Summer 2011. New 5 weekly nonstop services to Tokyo's Haneda airport shall be flown using a Boeing 777-200ER. In addition, its current flights to EZE-Buenos Aires operated via GRU-Sao Paulo shall be de-linked and EZE will once again be flown nonstop on a daily basis using a B 777-200ER as well. Cathay Pacific has officially confirmed that it has firmed up an earlier LOI with Airbus and Boeing for 30 Airbus A 359s and 6 Boeing 773ERs. The A 359s will be used to replace the A 333s and B 772As initially with more expected to be ordered in the long run as this aircraft will be the backbone of the fleet in the next decade. The B 773ERs will be used for further long haul expansion in due course. 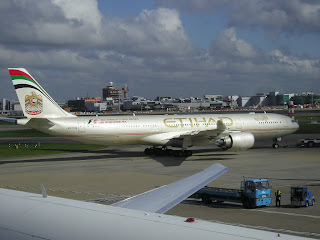 Egypt Air has officially announced that it shall be increasing its capacity to Dubai from Cairo from January 1st 2011. Currently it operates a daily B 773ER + 4 weekly A 333 + 3 weekly B 738 on this sector which shall be increased to a double daily B 773ER operation. 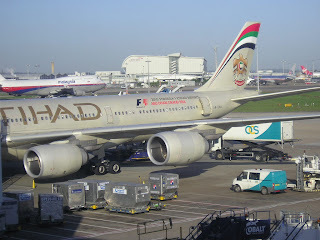 South African Airways has officially announced that it shall be increasing capacity to Mumbai, India from the on set of the Summer 2011 timetable when it phases out its entire Airbus A 340-200 fleet. JNB-BOM flights would then be operated using the larger A 340-300 four times per week. RUH - capacity increased by 75% from daily A 319s to 3 weekly A 332s + 4 weekly A 319s. JED - frequencies reduced from 5 weekly A 319s to 3 weekly A 332s. Lastly, AF confirmed that it will be inaugurating new nonstop services to MCO-Orlando, USA from its CDG hub effective June 7th 2011. Flights will be operated 3 times per week using a high density 2 class configured B 773ER seating 472 passengers i.e. 14 business class + 458 economy class. 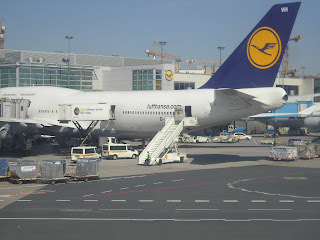 Air Berlin of Germany has officially announced that it shall be greatly increasing its presence at New York's JFK airport from the on set of the Summer 2011 season. JFK is seen as a crucial long haul gateway for AB as its a major hub of fellow One World alliance partner i.e. American Airlines. AB confirmed that new 4 weekly Berlin-JFK flights using an A 332 shall be launched alongside increasing Dusseldorf-JFK to a daily A 332 service as well. Qatar Airways is in the final stages of officially confirming a deal to dry lease out its entire fleet of 4 A 340-600s to Aerolineas Argentina for an undisclosed period of time. These jets are expected to leave the QR fleet from Summer 2011 and shall be replaced by more B 77Ws and B 787s that are being delivered to the airline next year. US Airways has officially announced that it shall be launching 2 new trans-atlantic routes from May 2011 from its CLT-Charlotte hub. The destinations that get new flights are Dublin and Madrid with daily nonstop services. CLT-DUB will be operated with a B 757 where as CLT-MAD gets a B 767-200ER. MNL - capacity increased to 12 weekly B 773ERs nonstop from daily B 773ER + 5 weekly A 332. This means an extra 1624 seats offered on a round trip basis i.e. 19% increase in weekly capacity. 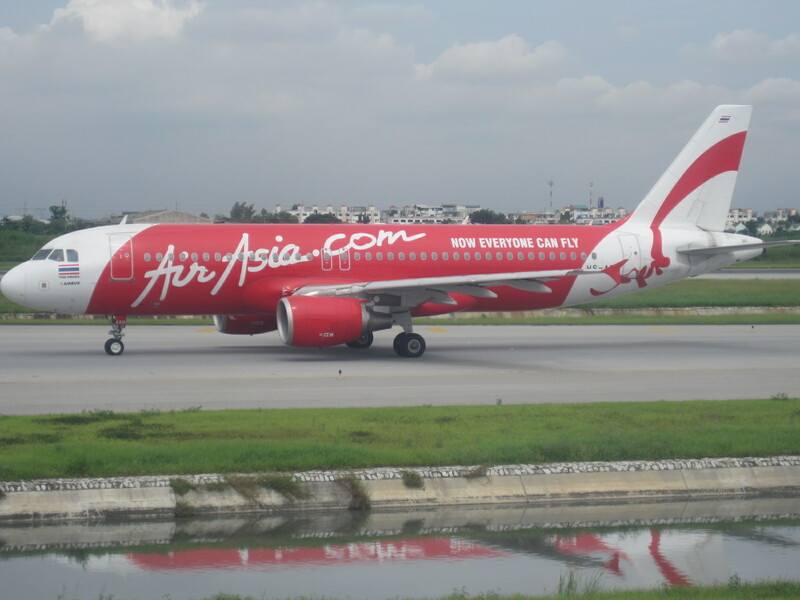 ISB - capacity increased to 3 weekly B 773ERs + 4 weekly A 320s from 6 weekly A 320s + weekly A 332. A further capacity increase takes place from Dec 19th onwards when a 4th weekly B 773ER gets added in alongside 3 weekly A 320s. This means an extra 1860 seats offered on a round trip basis i.e. 84% increase in weekly capacity. FRA - capacity increased from double daily A 332 to daily A 333 + daily A 332 effective Dec 1st. 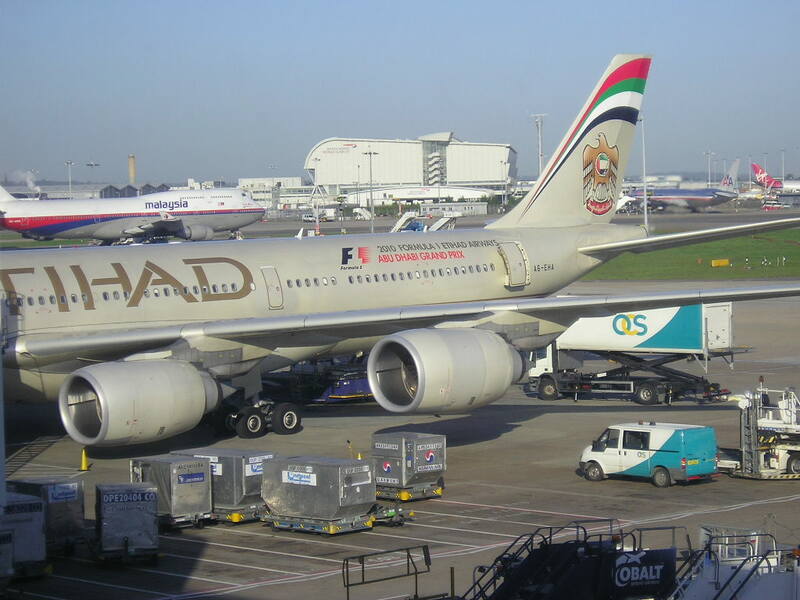 LHE - capacity increased to daily flights operated exclusively by an A 340-600. Currently, EY operates 2 weekly A 332s + 3 weekly A 346s + a weekly A 320 and a weekly B 773ER so the capacity increase is 204 seats on a round trip basis i.e. 11%. MEL - capacity increased from 6 weekly A 345s + weekly A 346 to 3 weekly A 346s + 4 weekly A 345s. ORD - capacity reduced from daily A 346 to weekly A 345 + 6 weekly A 346. EBL - frequencies increased from 2 to 3 weekly flights operated by an A 320 exclusively. SYD - capacity reduced from 11 weekly A 346s to 2 weekly A 345s + 9 weekly A 346s. CDG - capacity increased to 8 weekly A 333s + 2 weekly A 332s. GVA - capacity increased from Dec 1st from 5 weekly A 332s to 5 weekly A 333s. SYD - frequencies reduced from triple daily to double daily flights i.e. daily A 380 nonstop + daily B 773ER via BKK. AMS - capacity increased to daily nonstop flights operated by a B 773ER exclusively. HKG - capacity increased from double daily B 773 to daily A 380 via BKK plus daily B 773ER nonstop. PER - capacity increased to 13 weekly B 773ERs + weekly B 772LR. MAD - capacity increased from daily A 332 to daily A 343. ISB - capacity increased to 4 weekly B 773ERs + weekly B 772A. LHE - capacity increased to 4 weekly B 773ERs. TUN - frequencies reduced from daily to 5 weekly flights operated by an A 332. LAX - frequencies increased from daily to double daily nonstop flights using a B 777-200LR for all services. MXP - capacity adjusted to double daily A 343s. IAH - frequencies increased from daily to double daily nonstop flights using a B 777-200LR for 13 flights + weekly B 773ER (payload restricted). SYD - frequencies increased from 25 to 28 weekly flights all operated with an A 333. AKL - frequencies reduced from double daily nonstop flights to 12 weekly i.e. daily B 744 + 5 weekly A 343. KIX - frequencies increased from double to triple daily nonstop using an A 333 for all flights. BNE - frequencies increased to 11 weekly flights. CNS - frequencies increased to daily flights. a) Frequencies can be increased from 21 to 28 weekly flights. b) Out of these flights, 14 must be operated using narrow body equipment. c) Fares to be common rated with UL on DOH-CMB-DOH sector. Gulf Air has revealed on the GDS system that it shall be increasing capacity to Karachi, Pakistan for the entire IATA Winter 2010 season. Planned daily A 320 services are being increased to a daily A 321 which offers an extra 34 seats per flight. This change is effective Oct 11th 2010. GMG Airlines has officially announced that it has been granted the authority by the Saudi and Bangladeshi Governments to operate 10 weekly nonstop flights from Dhaka to Saudi Arabia effective immediately. The allocation is 6 weekly JED + 4 weekly RUH flights. As a result, GMG has commenced operations on the DAC-JED sector 4 times per week using a Boeing 767-300ER along side RUH-DAC 3 times per week using the same aircraft type. Z5 has stated on its website that its B 763ERs are configured to hold 264 passengers. Air China has officially announced that it shall be increasing frequencies on its flights to Dubai from Beijing from the on set of the IATA Winter 2010 season. Flights are to be increased to 5 times per week nonstop using an Airbus A 330-200 for all services. JFK - frequencies reduced from 4 to 3 weekly flights using an A 343. DEL/FCO - frequencies reduced from 3 to 2 weekly flights using an A 343. LAX - frequencies reduced from double daily B 744s to 12 weekly B 744s. Air Canada has officially confirmed that it is reducing frequencies to Geneva for the IATA Winter 2010 season. 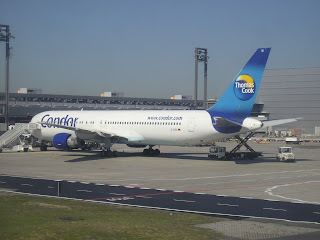 AC planned to serve Montreal-Geneva 5 times per week using a B 763ER, however that is being reduced to 4 times per week now using the same aircraft type. DEL/ATQ – frequencies increased from double daily to 5 daily flights with all services using an A 321. DEL/BOM – frequencies increased from 11 to 14 daily flights. DEL/AMD – frequencies increased from double to triple daily flights with all services using an A 319. DEL/HYD – frequencies increased from double daily to 4 daily flights with all services using an A 320. DEL/COK – frequencies increased from daily to double daily using an A 321 and A 320 each respectively. DEL/CCU – frequencies increased to five daily flights using a mixture of A 319s/320s/321s. EVA Air of Taiwan has officially announced that it shall be adjusting capacity on its flights to Kuala Lumpur and Singapore for the entire IATA Winter 2010 season. Services to SIN are being increased from 5 weekly A 332s to daily nonstop flights using a B 773ER. On the other hand, KUL flights are being reduced from 5 to 4 weekly nonstop flights using an A 332. KWI - frequencies increased to double daily nonstop flights. AUH - frequencies increased to 10 weekly nonstop flights. CDG - frequencies increased to 9 weekly nonstop flights i.e. daily A 333 + 2 weekly A 320. DXB - capacity increased from Jan 4th to daily A 333 + daily A 332.